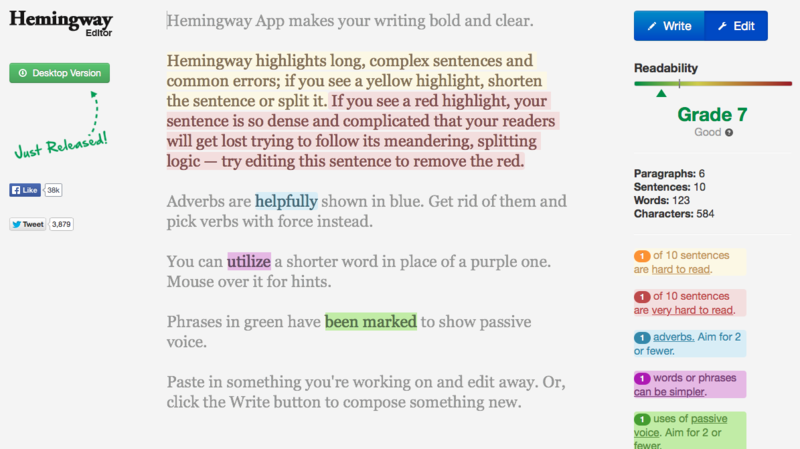 Hemingway App is a great tool to help you edit your written work. When you paste text into the Hemingway App it analyses the writing and highlights the parts you could improve. The app aims to ‘[make] your writing bold and clear’. Whilst this isn’t appropriate for all your writing it is a good tool to have in your back pocket.